"You don't even know they're getting closer… ’till it's too late." Ready for more? Warner Bros has debuted the second trailer for the new take on the horror classic It, adapted from Stephen King's novel, about the sadistic, evil clown who haunts a town in Maine and takes their children. This new version of It stars Bill Skarsgård as the story's villain, Pennywise. Also starring an ensemble of young actors including Jaeden Lieberher, Jeremy Ray Taylor, Sophia Lillis, Finn Wolfhard, Wyatt Oleff, Chosen Jacobs, Jack Dylan Grazer and Nicholas Hamilton. The more we see from this, the better it looks. I wasn't expecting to be into this, but damn does this look seriously scary and seriously entertaining. I'm there opening night. You can still watch the first official trailer for Andrés Muschietti's It here, or the second TV trailer here. When children begin to disappear in the town of Derry, Maine, a group of young kids are faced with their biggest fears when they square off against an evil clown named Pennywise, whose history of murder and violence dates back for centuries. It is directed by Argentinian filmmaker Andrés Muschietti, who made his feature directorial debut with the horror feature film Mamá. The short originally got the attention of Guillermo del Toro. 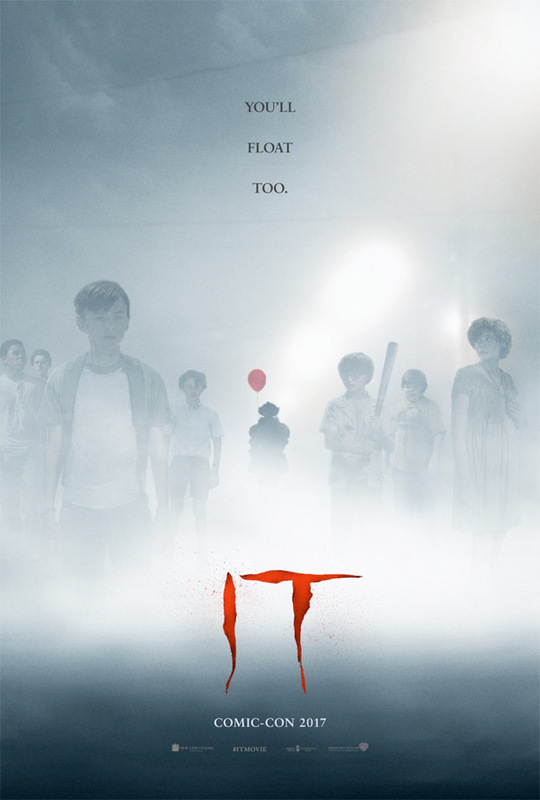 The It screenplay is written by Gary Dauberman & Chase Palmer & Cary Fukunaga; adapted from Stephen King's horror novel of the same name, first published 1986. Warner Bros will release Muschietti's It in theaters everywhere starting September 8th this fall. Your thoughts? How does it look?